I have been full of really great ideas lately. And all of them have to do with ice cream. It may be that I’m hungry, or that it takes to long to really get cold in California… But all I can really think of is ice cream animals. So I combined the two, and I feel really good about it. She is strawberry, and sprinkly. She’s like the strawberry shortcake of the sea. They never grow out of it. I still love sprinkles and mermaids! 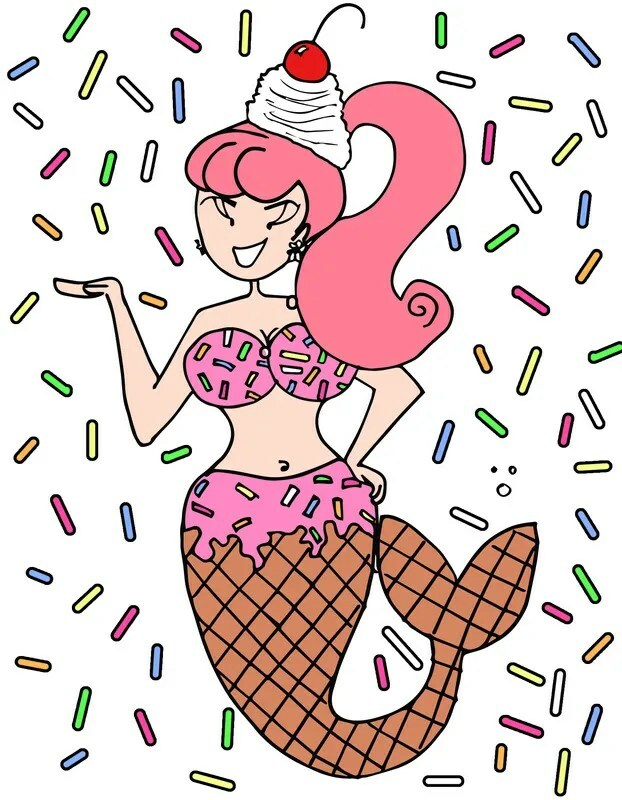 Although I don’t like sprinkles personally, Ice Cream mermaid with Waffle Cone tail ? FABULOUS ! It’s really a nautical and dessert revolution!